Plan The Biggest Celebration of the Holidays! The holidays are here! Can you hear the sleigh bells ringing? 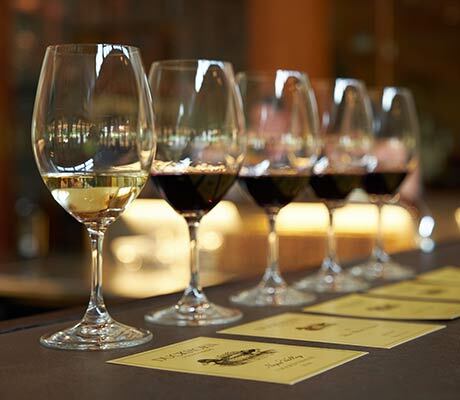 There is no better way to celebrate than with delicious culinary delights, world-class wines and your closest comrades. Plan the most beloved bash of the holiday season by following the tips below from your favorite Events Team! Tip 1: Have a Partner in Planning Crime – whether it is your significant other or your best friend, it is always beneficial to have an ally in planning. Two imaginations are always better than one! Tip 2: Start Small – For your inaugural party, keep the guest count modest and manageable, recognizing that you can grow each year. We suggest starting with 12 guests (6 couples). This will ensure the setting is intimate and will allow all guests to interact with one another. Tip 3: Plan an Activity – Give everyone something to look forward to and encourage some friendly holiday competition! Request that each couple brings two bottles of a selected wine and one dish to pair it with. Guests will vote on their favorite pairing, and the winners go home with an award, building special holiday traditions to look forward to each year. Tip 4: Keep Things Organized – In order to prevent repeat dishes or wines, create a simple shared document or group text for everyone to submit their culinary creation and pairing varietal. This will encourage diversity of cuisines! 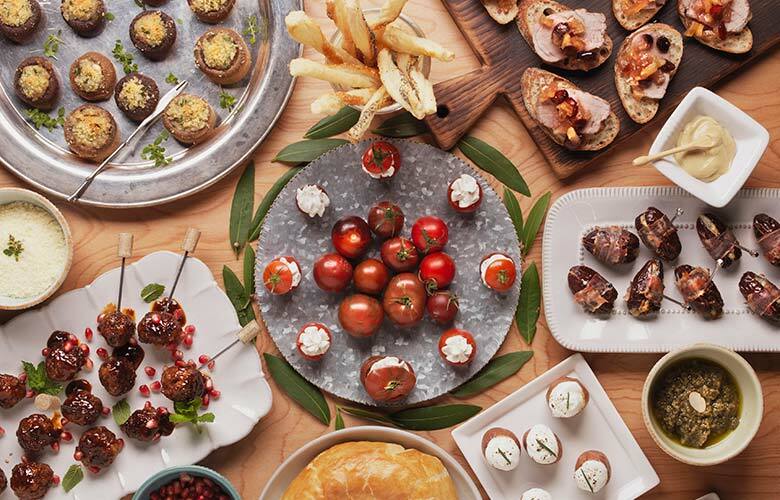 Tip 5: Create the Base – With your guests bearing the bounty for the main course, take it upon yourself to design the best crudité, cheese and charcuterie board to keep everyone satiated until the pairings begin. Add a handcrafted touch by trying out this delicious rosemary parmesan cheese straw recipe. Tip 6: Provide the Necessities – While your loved ones focus on the food, you can administer the accoutrements. The essentials include: ample glassware, ice, plates, cocktail napkins, service-ware and non-alcoholic beverages. Tip 7: Begin with Bubbles! – Nothing says celebration quite like sparkling wine. Welcome your friends by starting the evening with 2015 Goldeneye Anderson Valley Brut Rosé Sparkling Wine. Tip 8: Play Photographer – Everyone wants photo memories, and no one remembers to take them! Once all guests have arrived, set aside 5-10 minutes to snap candid shots of the party. Don’t forget to get everyone together for a group shot! 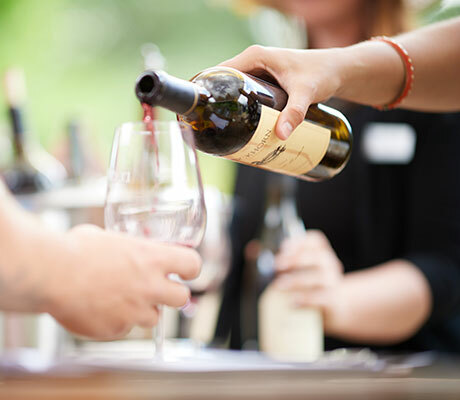 Tip 9: Keep a Few Surprises Up Your Sleeve – Our favorite element of ‘surprise and delight’ is sharing an exceptional wine. 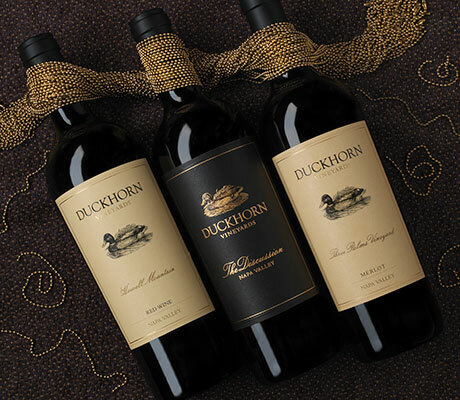 Bring out the special bottle of 2014 Duckhorn Vineyards The Discussion Napa Valley Red Wine you have been saving for the right occasion. Tip 10: Present Your Guests with a Parting Gift – Although it is certain that no one will forget this night, provide your friends with a little memento upon parting. Whether it be an edible peanut brittle or a customized ornament, a thoughtful treat at departure is always a nice touch. Hosting a lovely Thanksgiving celebration always seems more daunting than it truly is. By following these FIVE key ‘ingredients', you will be sure to cook up a bountiful Thanksgiving for your loved ones. Embrace the Invite List: Thanksgiving is a time for family to reunite – but it is not just family that you can include in your celebrations. The customs of this holiday have grown beyond bloodlines, and into new traditions, such as ‘Friendsgiving.’ Invite your closest pals and mutual friends to embrace the inclusivity of this beloved holiday. Pro Tip: Always allot for one extra person than your guest count for that last-minute addition! Choose the Perfect Flock of Wines: When choosing your wines for service, select those that pair well with your autumn-ingedient provisions. 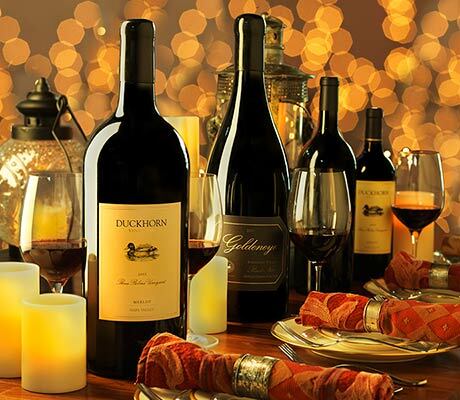 Pinot Noir is often known as the quintessential Thanksgiving wine due to its amazing versatility. 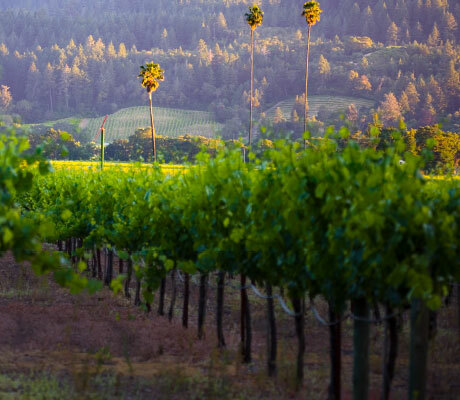 Lucky for you, the Duckhorn Portfolio offers a beautiful array of Pinot Noir from many climates spanning from the Anderson Valley to Santa Maria Valley. Some of our favorite Pinots for pairing right now are the 2015 Goldeneye Anderson Valley Pinot Noir and the 2016 Migration Santa Maria Pinot Noir Bien Nacido Vineyard. Pre-Plan for Showtime: Advanced preparation will save time on the big day when you are an hour from guest arrival. Prior to Thanksgiving, outline your shopping list and dinner timeline. Get the groceries purchased early to avoid the last-minute market mayhem and allow for multiple days of cooking to ensure you aren’t running laps around your kitchen on Thursday. Pro Tip: Poll your attendees for any dietary restrictions in advance so you can ensure all guests are well-fed. Create New Traditions: There are many special traditions associated with Thanksgiving, especially surrounding family-favorite dishes. Customize your meal by incorporating the culture and interests of your family and friends in attendance. Dinner can go beyond the turkey. Try one of these fall recipes to spice up your Thanksgiving menu, or welcome your guests to bring their favorite childhood dish! 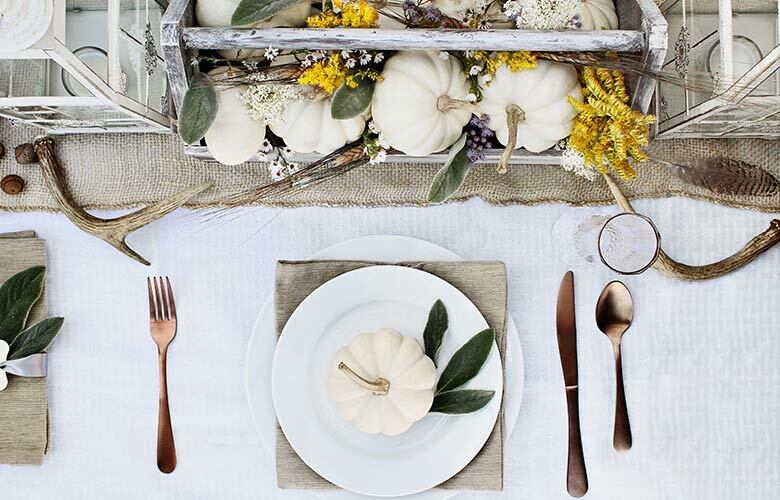 Add a Personal Touch: Build your custom tablescape according to the occasion. Using the elements around you is a great start. Heirloom pumpkins can be found at your local pumpkin patch or market. Pine cones, leaves and branches can also often be sourced from your own backyard. When in doubt, keep it natural and simple! Pro Tip: Creating specialized name cards with assigned seating can mix things up and encourage new conversation amongst guests!